I have been using Ubuntu for last couple of years and I am not particularly happy with the direction of that distro, so I decided to try something else. Antergos looked like a perfect choice for me. But, since I am using my system for work, I decided to try Antergos on external USB drive and when I managed to set up everything I need, only then to replace Ubuntu on my main disk. This worked pretty good. When I am using VMs, I switch to nVidia, and when I just browse the Internet or work with text files, I switch to intel. This was very easy to set in Ubuntu. I know what nvidia optimus is, what is bumblebee, I have read various wikis on how to install this, but without success. I have reinstalled Antergos 10+ times. I really would need help in form: “Install a by running …”, then “run …” etc, rather than “go here and read this” because I have read pretty much everything on the topic and I have tried a lot of things. Sorry for my English, I am (obviously) not a native speaker. Have you seen the Bumblebee article in AnteWiki? It is written in a simple (hopefully :) ), step-by-step style. @just, Thanks, I managed to install and set up bumblebee using arch guide. I was really busy lately and I haven’t had the time to continue my experiment with switching to Antergos. A few days ago I returned to my Antergos installation. I managed to install bumblebee and it is working but I am having trouble with external monitors. I asked the question on Lenovo forum https://forums.lenovo.com/t5/Linux-Discussion/P50-P70-linux-experiences/m-p/3560935#M9026 and I got help but I am still having issues with external screens. So my question is, How to make external screens work on laptop where all outputs are wired to nvidia card? If somebody is interested, in the same post, there are results of unigine heaven benchmark tried on windows 10, ubuntu with prime and antergos with bumblebee. I have no an easy answer to this question. If we speak about external monitors connected through HDMI port, then my (very personal) impression is that proprietary Nvidia drivers don’t like it. I’m currently on four laptops. Two are equipped with Nvidia Optimus video cards, GT 555M and GT 750M. 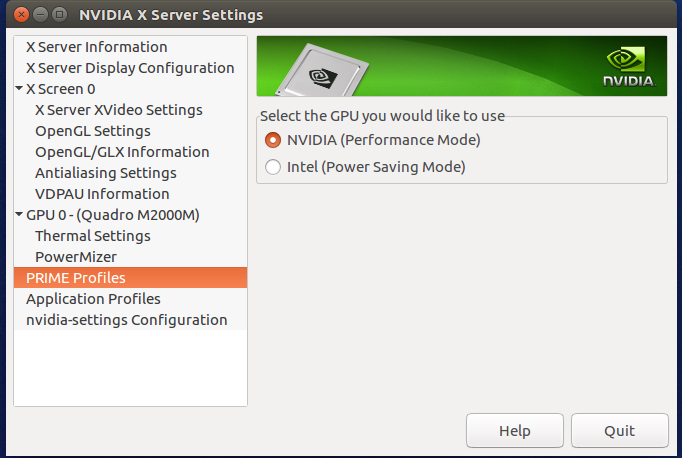 Both use proprietary Nvidia drivers. My attempts to connect them to an external monitor (TV) through HDMI fail. HDMI ports in TV don’t “see” the connected computer. The 3rd laptop has AMD Radeon HD 6650M video card. The same TV, connected to it through HDMI, works without a problem. The 4th laptop has the integrated Intel GPU. It also works with the same TV, through HDMI, without a problem. I vaguely recall to have read somewhere about successful attempts to connect Nvidia Optimus to external monitors through HDMI. But I don’t use external monitors, so didn’t investigate the problem deeper.